The Maroon Tigers jump up six spots in this week’s NABC poll. 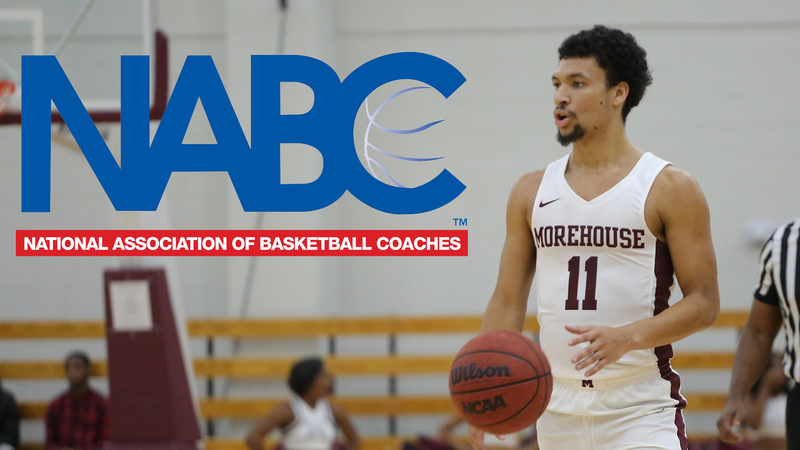 ATLANTA–Morehouse College moved up six spots in the National Association of Basketball Coaches Top 25 poll on Tuesday just hours before dismantling Fisk University 115-48 at home. The Maroon Tigers are now No. 11 in the NABC poll and undefeated at 3-0. Morehouse is the lone HBCU ranked in this week’s poll after Virginia State fell out of this week’s poll. The Maroon Tigers were ranked No. 17 in the preseason NABC Top 25 to start the season after finishing No. 12 in the final rankings last season. Morehouse garnered 234 points in the NABC Poll this week. Morehouse (3-0) opened the season by sweeping the SIAC/CIAA Challenge with victories over Winston-Salem State University (66-61) and previously undefeated Shaw University (93-75). The Maroon Tigers are back in action starting on Saturday against its two biggest rivals in the SIAC. Morehouse hosts Tuskegee University on Saturday, at 3 p.m. and Miles College on Monday at 7 p.m. in Forbes Arena. Others receiving votes: Dallas Baptist (Texas) 42, Shippensburg (Pa.) 36, Point Loma (Calif.) 30, Ashland (Ohio) 28, Indianapolis (Ind.) 27, Missouri Southern 24, Saint Martin’s (Wash.) 24, Central Missouri 21, Sioux Falls (S.D.) 21, Southwest Minnesota State 19, USC Aiken 18, Texas A&M-Commerce 15, Virginia State 14, Bentley (Mass.) 13, Tarleton State (Texas) 13, Minnesota State 12, Chaminade (Hawaii) 9, Colorado Mesa 8, Lake Superior State (Mich.) 6, Lenoir-Rhyne (N.C.) 5, Carson-Newman (Tenn.) 4, UNC Pembroke 4, Cal State San Bernardino 3, Shaw (N.C.) 3, Eckerd (Fla.) 2, Lincoln Memorial (Tenn.) 2, Stanislaus State (Calif.) 2, Chico State (Calif.) 1, Kutztown (Pa.) 1, West Florida 1. Dropped out: Lincoln Memorial (3), West Florida (12), East Stroudsburg (15), Virginia State (16), Southwest Minnesota State (20), Dallas Baptist (21), Missouri Southern (25). Records are through games of Sunday, Nov.18. Last ranking was from the 2018-19 pre-season poll.